Home » A Review of Dugin's "Last War of the World-Island"
Although Western analysts continue to debate the motivations of Russian President Vladimir Putin for forming his Eurasian Union, what is undeniable is that the most vocal proponent of this union is Aleksandr Dugin. 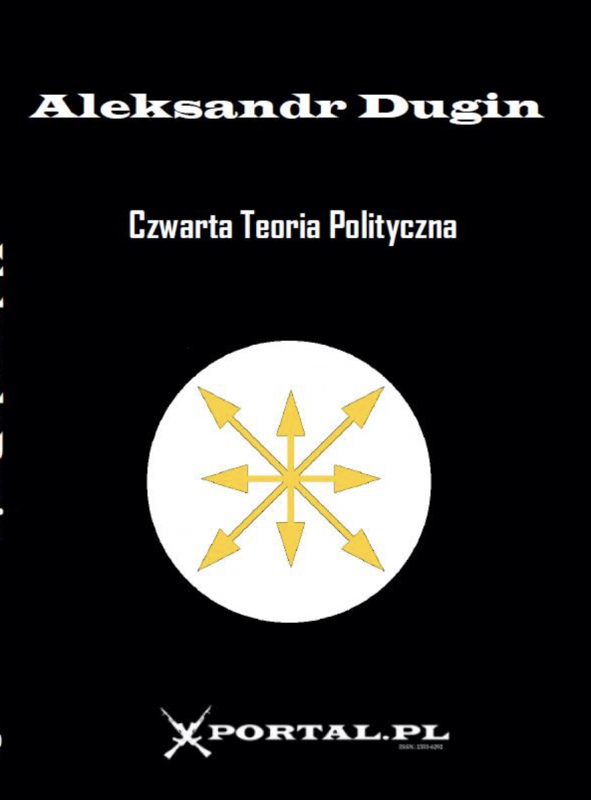 Dugin laid much of the ideological framework for a Eurasian Union when Putin was just beginning to emerge in the upper echelons of the government of the Russian Federation, and Dugin has been as outspoken in his ideological agenda as Putin has been taciturn in revealing his own. In fact, when Dugin’s remarks concerning Russia’s involvement in Ukraine were widely interpreted asadvocating a genocidal campaign against Ukrainians who would oppose Russian occupation of portions of that country, Dugin lost his teaching position at Moscow State University and was eventually placed under sanctions by the U.S. Department of the Treasury. Sometimes the territory of Rus contracted for a short period, but only to expand again in the next stage. Thus beat the geopolitical heart of the Heartland, pushing its power, its population, its troops, and other forms of influence to the outer edges of Eurasia, all the way to the coastal zone (Rimland). The living, beating, and growing heart of the world’s land-based empire predetermines Rus-Russia’s path toward the establishment of a world power and one of the two global poles of the world. Stalin was a classic figure in the tradition of the great-continental leader, exactly suited for both the scale of the geopolitical tasks standing before Russia in the twentieth century and for the sociological constants of Eurasian tellurocractic sociology, oriented toward hierarchical, vertical, “heroic,” and “Spartan” values. It is difficult to say whether he was thoroughly familiar with the ideas of the Eurasianists and the National Bolsheviks and whether he had a precise notion of geopolitical patterns. Anyhow, a precise and distinct logic is visible in his foreign policy. Each action was directed toward strengthening the power of the civilization of Land, expanding the Soviet government’s zone of influence, and defending strategic interests. During his rule, a consistent Eurasian geopolitical policy was consciously implemented. Invocations of “saboteurs” and shadowy circles of “American agents of influence” is simply an attempt to reheat the old propagandistic terms that Stalinists invoked to justify the “show trials,” with all difficulties hampering "the Leader’s" agenda being the fruit of such malign influence. 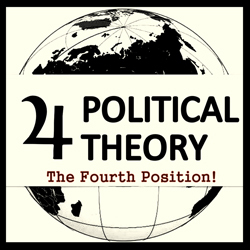 In Dugin’s opinion, what is needed is “a strong-willed and energetic personality at the head of government, a new type of ruling elite and a new form of ideology.” As noted in the review of Putin vs. Putin, what seems ambiguous is whether Putin will be able to live up to Dugin’s expectations for the leader. Russia will not be able to become a “normal” country by inertia and without effort. If it will not begin a new cycle of ascension, it will be helped in entering a new round of decline. And if this happens, then it will be impossible to sway on what stage the recurrent cycle of fall, crisis, and catastrophe will end. We cannot rule out the disappearance of our country from the map; after all, the great war of continents is the genuine form of war, in which the price of defeat is disappearance. … Therefore, we should look toward the future with reasonable optimism and create this great-continental Eurasian future for Russia with our own hands. Taking into account Putin’s ongoing aggressive stance against Ukraine and his establishment of the Eurasian Union, it is perilous to dismiss Dugin’s views out of hand. In the past, Dugin’s ravings have offered a window into some rather disturbing corners of post-Soviet ideology, and his enduring influence and significance in the Putin era cannot be ignored. Aleksandr Dugin, Last War of the World-Island — The Geopolitics of Contemporary Russia (London: Arktos, 2015). ISBN 978-1-910524-37-4. 152 pages. paperback.